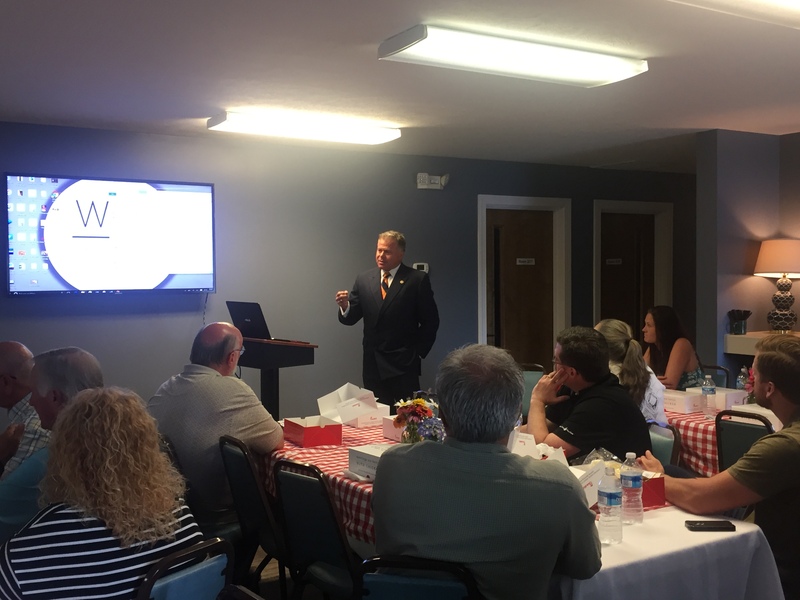 Fourth Judicial District Drug Recovery Court was able to be hosted by Jefferson City Christian Church on Tuesday, June 21 for a fundraiser. We are working toward a great opportunity to be able to expand our Recovery program and work with the church. JCCC is able to work with an organization called CrossRoads, which leads them to provide and build walls that will be used to expand our services. We will be using this building for an office space and we will be also have space for our treatment as well. The Jefferson City Christian Church was able to hold this event to show the churches in our area what this project was all about. We are excited about this project and know that this can have a major impact on the crisis of drug addiction in the county. Our goal is to reach out to the churches in our county and see what they have to offer for this program. Judge Slone, Phil Williams and Mallie Moore spoke at the event. We also had John Emmert the director or worship/missions speak on the behave of the JCCC. Karen Matijevich spoke as well, she we want to give a special thanks to her and the church for making this project happen.